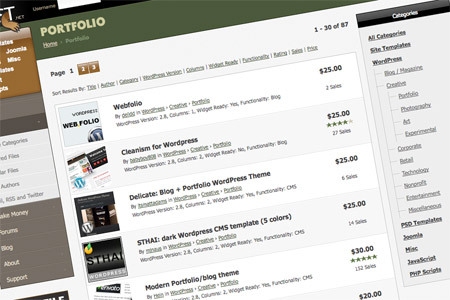 You don’t have to be a coding nerd to be able to build your own online design portfolio. There’s a bunch of handy sites and communities out there that are allowing designers to showcase their work and flourish with with work requests. Here’s 10 solutions to easily create an online portfolio of your own, giving you the platform to showcase your work to the world. Krop’s Creative Database is an hosted portfolio solution that allows you to spend your energy promoting your portfolio, not building it! There’s a range of brilliant minimalist themes that allow your work to shine. There’s two options available, free and premium. The free version is limited to 10 images while the premium version opens up all features for $9.99 a month. 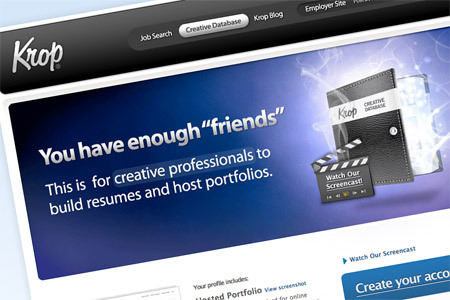 Pros: Popular portfolio site with the handy resource of the Krop job board right next door. Cons: You’re limited to 10 images if you’re a cheapskate! Carbonmade is a lickety-split online portfolio sans the headache, that supports images, flash and video content. Carbonmade is structured as individual projects, allowing you to upload multiple images based around each piece of work you’ve created. Carbonmade also has a free and premium version, with the free account allowing 5 projects and 35 images, and the premium account at $12.00 per month giving space for 50 projects 500 high-res images. Cons: Themes are limited, with an option of a black or white colour scheme. 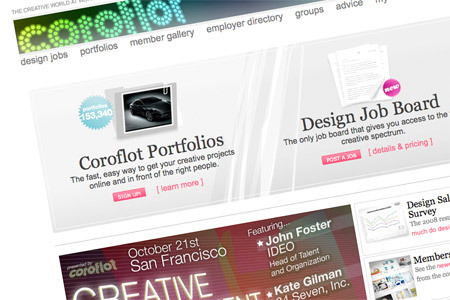 Coroflot is a fast and easy way to get your portfolio online and in front of the right people. It’s free and there’s no restrictions on file uploads. What’s more, you can network with other members and receive notifications of job offers. Pros: A great free solution that’s not limited in features. Cons: No options for portfolio layout or style. Shown’d is a free portfolio solution that helps you connect with employers and includes some handy options such as multiple image uploads and the ability to import from Flickr. The option of embedding your showcase in an external web page also opens up some useful doors. Pros: A free solution with handy features and customisable layouts. Cons: Not quite as popular as the mainstream portfolio websites and communities. Behance is a free platform for the world’s leading creative professionals and is home to some of the big names in the creative industries. 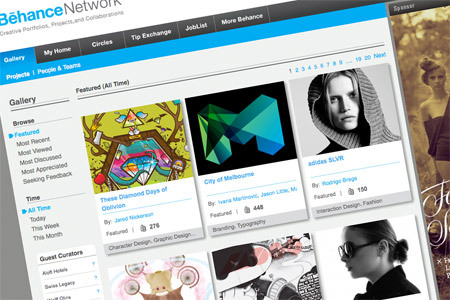 Behance portfolios are subject to millions of views and is a good source of work for many designers and illustrators. Pros: Highly popular and well known website, resulting in good exposure for your work. Cons: Registration is invite only, so you’ve got to be good! 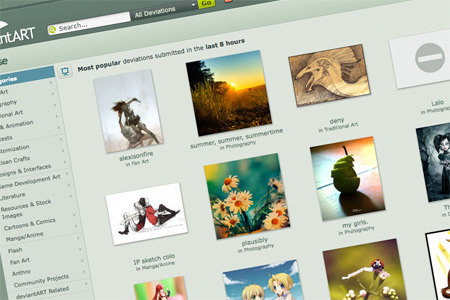 DeviantArt is the largest art community in the world. It’s a free platform that allows users to display, share and sell their artwork. DeviantArt is a great place to receive feedback and communicate with like minded creatives and can be a handy place to find free resources to use in your own work. Pros: Well known website that allows unlimited uploads. Cons: Is seen as more of an art community than a place to find professional portfolios. 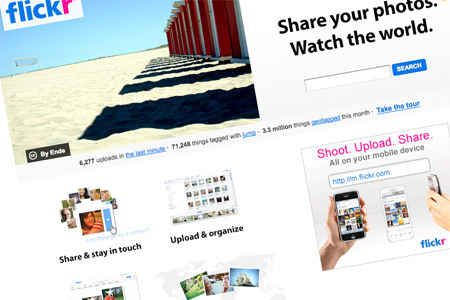 Flickr is the best online photo management and sharing application in the world and is home to masses of groups, allowing you to share your work and connect with people in specific niches. Flickr is free, but also has additional features available to Pro account holders. Pros: Huge image sharing application with groups allowing you to put your work in the right places. Cons: Primarily a website aimed at photography, however images can be marked as art or illustrations. 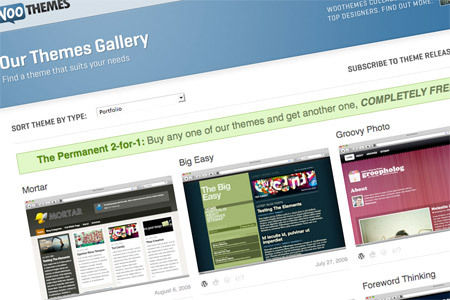 WooThemes is home to a collection of the finest WordPress themes, including a range of portfolio specific themes. The themes are of premium quality which means there’s a cost involved as either a single payment or as a subscription, but this means you’ll be ready for hosting your own high quality website in no time. 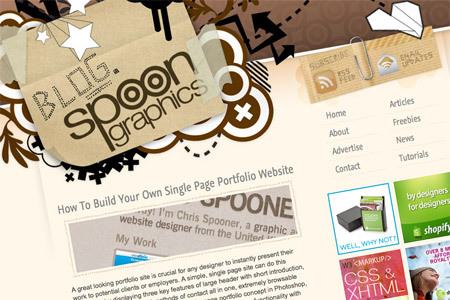 Pros: Expertly designed WordPress themes, allowing a completely self managed portfolio solution. Cons: Knowledge of installing and maintaining the WordPress application required. ThemeForest is a marketplace for buying and selling website templates, including themes for popular content management systems such as WordPress. There’s a bunch of great looking portfolio templates at highly competitive prices, allowing you to manage your own portfolio website on your very own domain. Pros: Stacks of website designs and templates for various CMS available. Cons: Knowledge of installing and maintaining the WordPress application (or ability to update HTML templates) required. If you’re into website design, or know a thing or two about HTML and CSS, there’s a couple of handy tutorials out there on the net that could help you along with building your own portfolio website from scratch. Why not head over to my recent tutorial for starters? The article covers the process of developing a simple, single page portfolio layout and spicing up the image popups with a readily available jQuery plugin. Pros: Increases your knowledge of web design while producing a hand crafted portfolio of your own. Cons: Considerably more knowledge of web design required to construct and maintain, as well as being much more time intensive. I’m surprised this list doesn’t include Tumblr! A more appropriate screen-shot for Shown’d would have been a good idea… I mean seriously. It wasn’t really mentioned in the article, but dA has a new portfolio system, meant to be more professional. I haven’t checked out how it works, but I’ve seen some people’s portfolios and they look pretty good. another option, which is quick, easy, and looks pretty good, is profolio. playing with it on a local install and it would take someone about 1 minutes to get it working, and another 3 minutes for each piece you want to show off. but you are kind of limited when it comes to the design, but it should be pretty easy to take the important parts of code out of the single html file and put them in your own. Good round up Chris. Although some of the generated systems are great its best to either make your own or develop a template to fit your needs. Dont think you can ever beat an original design. I have been hunting around for something like this to get an online folio up, until I learn to do it myself. Great post – thanks! Great resource. Thank you Chris! Good list Chris, however you should pay a litlle attention to http://www.cargocollective.com. Easy setup and very fast. Nice list Chris, but I don’t think that anything can beat a hand made portfolio… maybe I’m wrong! I had a question for the group. I am a freelance web designer and developer. I am fully able to design and develop a custom WordPress based portfolio, however I am straight out with work and have no time. Right now, I just have a simple splash page up that points to my old portfolio. I am considering purchasing a WP theme from Theme Forest and temporarily customizing it to my branding since this is “easier” and quicker than a full design and theme creation. The only reason I have not done this is fear that potential clients would realize it is a template and not hire me. Do you think using a template is better than having a splash page? Dear Chris, Computerlove, cpluv.com/ is also an option. Hello Chris.. thanks for your post and good lists! Great list. Thanks for the tips. ITA: Ottime risorse! Grazie mille Chris! ENG: Great list! Thank you Chris! Some nice solutions if your not building your own. I will definitely be sending this to some people in the future. Thanks. I like the last option too. Have your own site is the best option in my view. I am completely ignorant when it comes to web programming and coding. That’s why I use Freeway 5 that is a great tool for designers to build a nice site without all the programming. I highly recommend. Good list here. Obviously, the last is the best if you can pull it off. @Ashley – I personally dont see anything wrong with using a WP Theme as a base and customising to your own branding for your own site. As long as you are doing more than simple swaps of graphics and make a bit of an effort to really make it your own that seems reasonable. I know designers who are making a living purely as WP specialists who customise templates for their clients so what you propose is not unheard of and can actually be an added bonus in showing potential clients what you can do. Not everyone has the ability to customise WP in a meaningful way so this can be another feather in your cap… Good luck! You should just ignore all these puritans who dislike your shown’d shot, Chris. It isn’t really an issue if you’ve left your house in Iowa more than once in your life. And really, who wants to appease those who haven’t? No dought it is a good list. I like the last and second last. Thanks for the information sharing. Great List. Flickr has been all I ever needed and then some… BTW great website. There is a ton of good info on here. Glad I found you. I think everyone should really create their own. But if the purpose of a portfolio is to get the most people to see your work, then Behance.net would be best complementary option (their traffic is largest, excluding DeviantArt – which is…well…deviant). 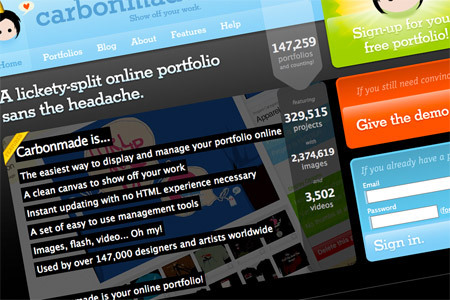 Check out Design Related: designrelated.com/ No template options, but a really nice social network / portfolio building site. Without building your own, I would go with Behance because it connects you with hundreds of designers instantly and allows you job search and everything you need for your portfolio. i love the behance plattform! Dear Chris, thank you for significant work. Everything is fine, but I was expecing some conclusion which site is the best from all listed here… ? You forgot Viewbook.com. Should be in this list I think. Very informative list. Nice collections, Thanks for sharing this post Chris. they don’t show advertising or their name on the portfolio’s, i think that’s cool and they have a free account as well.